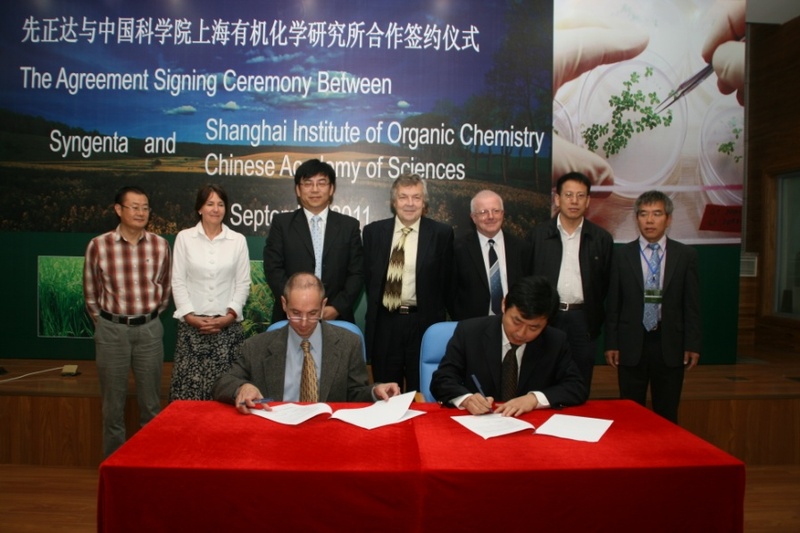 On September 28, Shanghai Institute of Organic Chemistry (SIOC) of the Chinese Academy of Sciences (CAS), one of China's leading chemistry research institutions, and Syngenta, a world-leading agrochemical company, signed an agreement to extend cooperation in the study of crop protection technology. Ding Kuiling, director of the SIOC, and Sandro Aruffo, head of research and development (R&D) of Syngenta attended the signing ceremony. "We are extremely pleased to continue our partnership with Syngenta," Ding said. "The SIOC strives to promote innovative scientific research and technological development through collaboration. The combination of knowledge and technology from the SIOC and Syngenta will contribute to more rapid innovation in agricultural chemistry." "Given the SIOC's well-recognized expertise in synthetic organic chemistry, we believe the collaboration will stimulate our innovation speed," said Aruffo. "Together we aim to continuously increase agricultural productivity to help ensure food security, which is a top priority of China and the world." Based on the successful cooperation in the past four years since 2007, the SIOC and Syngenta decided to continue the collaboration agreement between two sides for another two-year with the aim of discovering the new chemical entities that can be potentially used as crop-protection agents. The agreement signing ceremony between Syngenta and SIOC. SIOC director Prof. Ding Kuiling (1st R), head of R&D for Syngenta Sandro Aruffo (1st L).